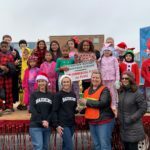 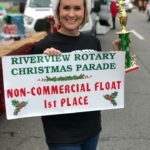 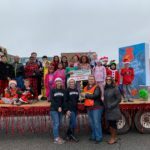 On Sunday, December 3, 2018 a group of students and staff gathered to participate in the annual Riverview Rotary Christmas Parade. 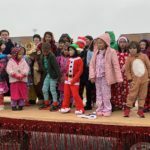 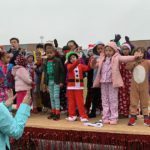 This year’s parade theme was “A Christmas Story Book.” Sacred Heart Catholic School’s float had a T’was the Night Before Christmas motif. 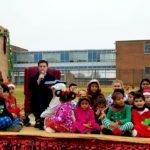 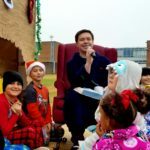 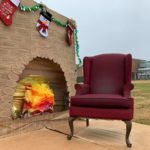 Students performed a Christmas Rap, a modern spin on Dickens’s classic prose. 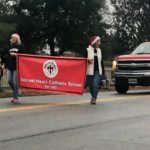 All were excited to learn that the Sacred Heart’s float had earned 1st Place in the Non-Commercial Float Division. 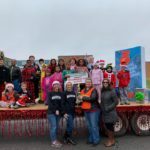 The school community would like to extend a special thank you to all the students who worked hard and braved the rainy conditions, to the staff who guided and enabled them, to the parents who supported the parade efforts, and to Mrs. 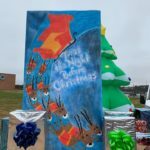 Snow for her leadership and creative flair that made this project possible.